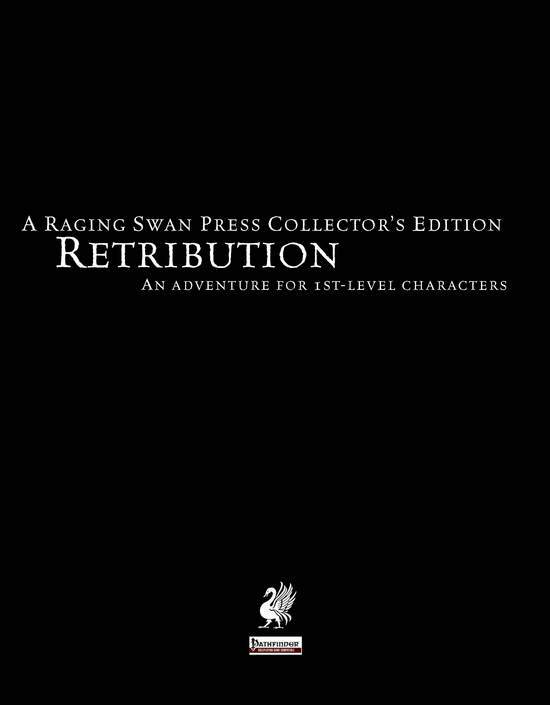 I recently received a copy of Retribution by Raging Swan Press, written by Creighton Broadhurst. It appears this was the first adventure that Creighton ever wrote! You can read a interesting article about it here. This adventure was written for Pathfinder, however it's crazy easy to convert it to a OSR type game (which I intend to do). I love the premise, the adventurers get caught in a snow storm on the way to a monastery. The cool thing is as the adventure goes you get to rachet up the mysterious, things going bump in the night, etc. It's got sort of a Ravenloft kinda vibe to it (at least that's how I read it). I was actually working on a similar idea for an adventure, a bunch of PCs delivering goods to a monastery (only to find it burnt to the ground...) However, I think I may pull a few of my ideas and Retribution and amalgamate them. The art in this book is fantastic b/w, the lay out is easy to read (the font is a bit small for older eyes). However great presentation. The book is filled with Pathfinder stat blocks (obviously cuz its for PF), however I found a tidbit of information that would help me when running this adventure in an OSR environment. Tactics! For each encounter there is a list of tactics that the monsters will do. Now obviously this throws reaction checks out the window sorta, but still handy for me. Example "the goblins will fire arrows, while a few try to escape". I mean i could have thought of that, but having it right there is handy. This module is an "adventure path", ie it's a bit of a railroad. Not in a bad way though, there's a story and there's ideas and reasons for finishing up the story. If complications arise, there's ways of dealing with them. However the core of the adventure can easily be ran by a open minded old school DM. Especially if you are good at thinking on your feet. The middle section of adventure is where everything ramps up, with interesting encounters. Most are there to increase the intensity! Not all of which are deadly, or combat related. Rounding off the book is a big section of incredibly detailed and awesome NPCs. I have a few more raging swan books that I intend to review. I'm hoping I can take them all and plug them in to one mini campaign (which seems rather easy to go). 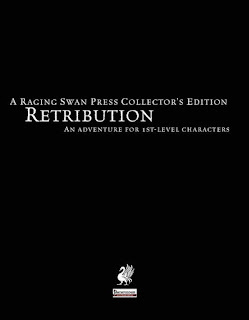 Creighton makes references to the ease of putting these adventures into your own campaigns. That being said, there's a wealth of world building on the Raging Swan site. I'm slowly looking thru this and the other adventures, and making notes on bad guys (converting them to Whitebox). The other thing that struck me while reading this, is that it would be a almost no prep 5e adventure. All the DC's are there. References to "specific skill type checks" are easily convertible to 5e skills, and in some cases are named the same. This is another thing rolling around my head for whenever I get back into playing again. Pretty cool book. If your a PF fan, I'd say this is a must have! If your a OSR fan, and don't mind a bit of a "story" to go along with your possible TPK then I think it's a pretty good adventure.